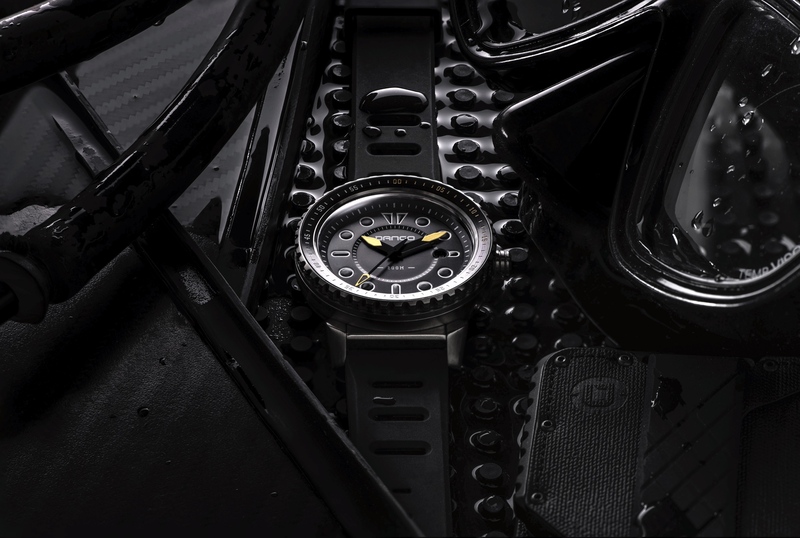 Tissot recently unveiled the a high-performance tactile watch for divers. 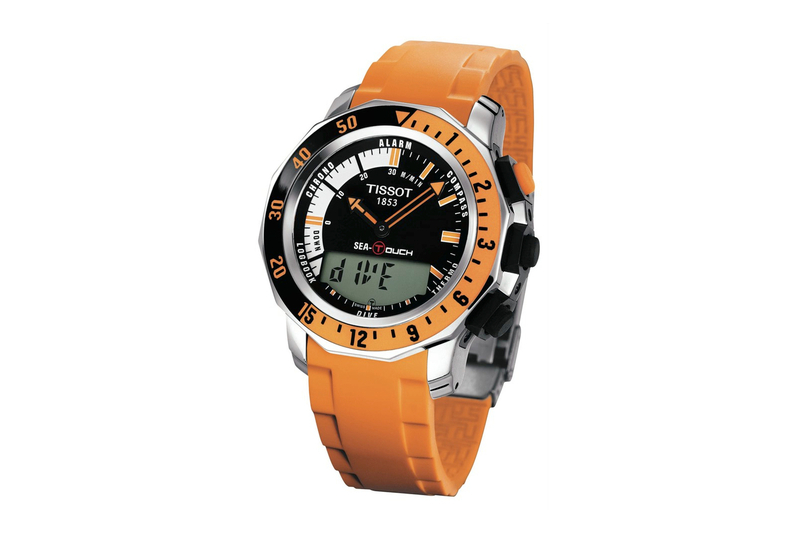 The SEA-Touch by Tissot uses patented technology to ensure that this watch for divers maintains its high performance at all levels – above and below sea level. Right down to a depth of 200 meters, wearers literally have the sophisticated functionality of this high-tech diving watch at their fingertips. As well as being able to tell the time in two time zones and indicate the depth of the current dive, this timepiece integrates a digital chronograph, thermometer, alarm, perpetual calendar date, compass and divers’ logbook, all activated by touch on the glass. SEA-Touch fulfils all of the European Norm EN13319 stipulated criteria (divers accessories) – luminosity, shock resistance, anti-magnetism, band solidity and the integration of a time control device. This tactile watch provides a selection of important diving data. 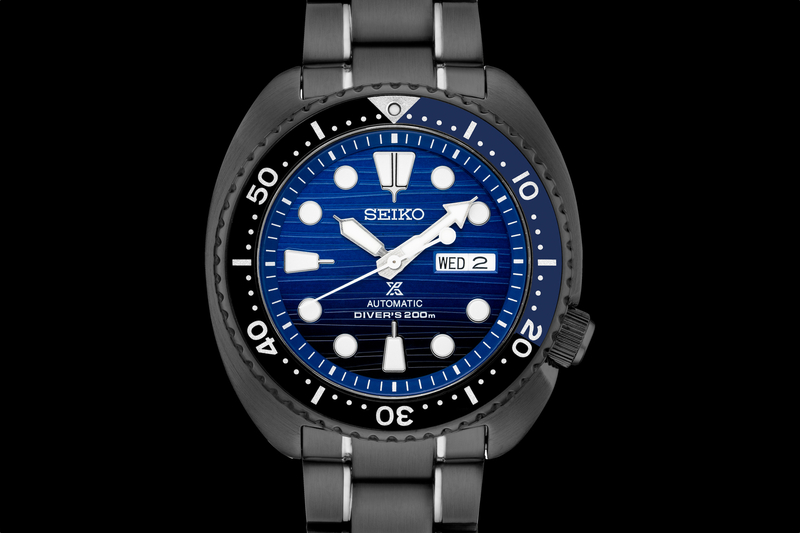 When the diver enters the water (minimum depth 1m40), the hands go directly to 9 o’clock. 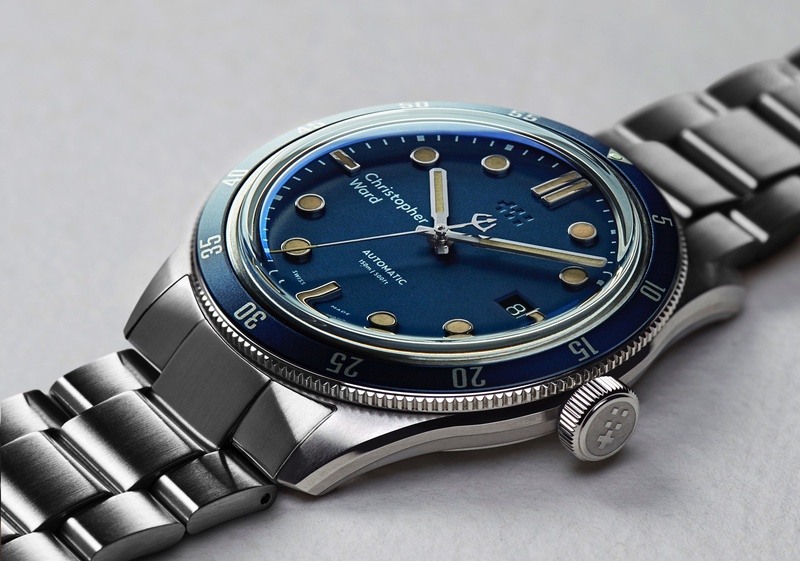 Later the minute hand displays the depth of the dive on the scale around the bezel. The hour hand reveals the speed the diver is moving at in meters per minute on the dial. Excellent visibility comes from highly luminescent material and an effective backlight. Patented technology by Tissot SA on the SEA-Touch ensures that the rubber-protected pushers have double protection and therefore can operate perfectly underwater. The diver’s surroundings are often breathtaking to the eye and the SEA-Touch makes sure that it also looks the part. A stainless steel bracelet and case secures a stylish black and white bezel framing a choice of a black, a white or an orange dial. The silver dial has silver-colored indices, the black one uses contrasting black and white markings and the orange one has orange indices. The angular shape of the case is picked up by the metal base of the rubber-capped pushers. Even the keenest divers spend a lot of time on dry land – there they can use their SEA-Touch to make a sporty style statement or to reminisce about previous dives using the tactile logbook.